Steel 7,000 lb. tandem transport trailer. Great trailer for hauling a vehicle, landscape equipment or smaller construction equipment. Chilton Trailers put your equipment on the job! 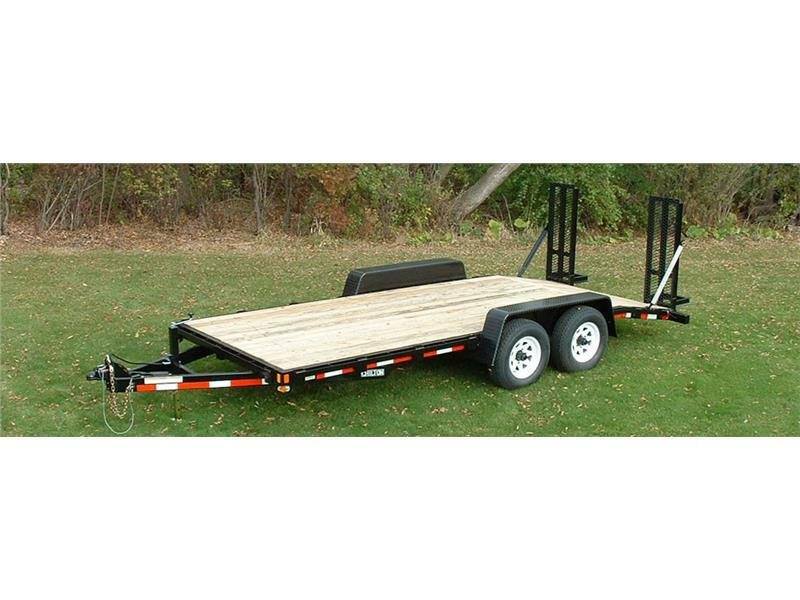 These trailers are designed for safe and easy transportation of commercial equipment, tractors, skid steer loaders, lawn and landscaping machines, industrial equipment, and anything else you need to haul. Sizes range from 7,000 lb. GVWR to 14,000 lb. GVWR and from 8 - 20 ft. in length. Standard features include heavy-duty tubular frame, jack stands, safety chains, stake pockets, guide and tie down rails, rubber mounted DOT approved lighting, and a 2-5/16 in. coupler. Options include 2-piece expanded metal full-width ramps, beaver tail, I beam construction, 2 in. rough sawn oak deck, colors and much more.